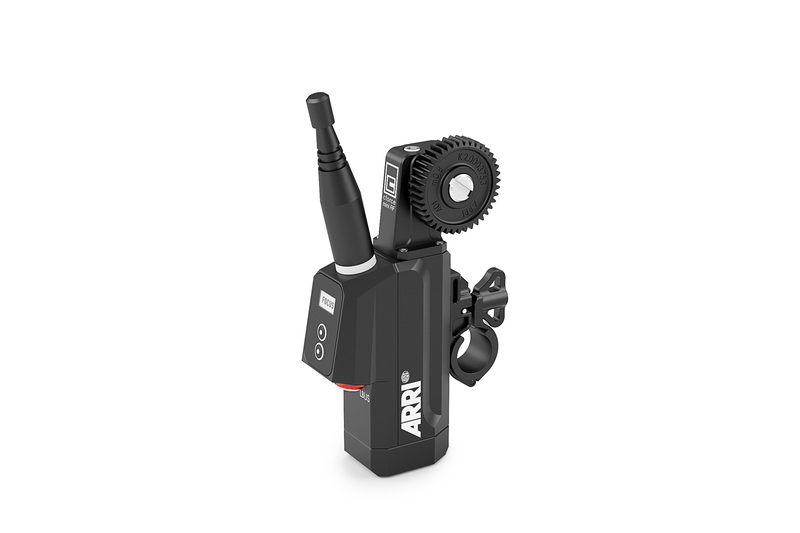 Eliminating the need for additional camera-mounted receiver units with an integrated radio module, the new ARRI cforce mini RF is a lens motor that combines a selection of well proven components with new and refined ones. Announced at NAB Las Vegas last month, the cforce mini RF is based on the widely-adapted cforce mini motor and includes the latest iteration of ARRI’s white-coded radio module with improved interference resistance, and six additional radio channels compatible with the soon to be released WCU-4 SUP 3.1. It also includes the same solid high-quality outdoor antenna already on the UMC-4 motor controller. The cforce mini RF can pair with up to three hand units for split focus, iris, and zoom operation, and provides full lens data for focus mapping and lens data display with the WCU-4 hand unit. Using the LBUS interface, the system can be expanded with two additional cforce motors, while the new CAM connector provides a versatile interface for power supply and run/stop control with ARRI, and 3rd party cameras (including Red, Sony, Canon, and Blackmagic).